*NRV – Nutrient Reference Value take an additional multivitamin. µg – microgram, mg – milligram, IU – International Units. 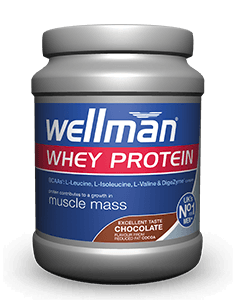 Ingredients: Bulking Agent: Microcrystalline Cellulose, Magnesium Oxide, Vitamin C (Ascorbic Acid [Carrier: Glyceryl & Tristearate]), L-Carnitine Tartrate, Zinc Sulphate, Vitamin E (D-Alpha Tocopheryl Acid Succinate) (from Soya), Tablet Coating: (Hydroxypropylmethylcellulose, Hydroxypropylcellulose, Caprilic/Capric Triglyceride, Purified Talc, Natural Source Colours [Titanium Dioxide, Iron Oxides]), Niacin (as Nicotinamide), L-Arginine,Thiamin (Vitamin B1 as Mononitrate), Para Amino Benzoic Acid, Silicon Dioxide, L-Methionine, Ferrous Fumarate, Citrus Bioflavonoids, Pantothenic Acid (as Calcium Salt), Vitamin B6 (Pyridoxine HCl), Betacarotene (Carriers: Starch, Water, Antioxidant: DL-Alpha Tocopherol), Vitamin A (Acetate [Carriers: Acacia, Starch, Maltodextrin, Antioxidant: DL-Alpha Tocopherol]), Manganese Sulphate, Anti-Caking Agents: Silicon Dioxide & Magnesium Stearate, Riboflavin, Hydroxypropylmethylcellulose, Vitamin D3 (Cholecalciferol [Carriers: Acacia, Sucrose, Corn Starch, Medium Chain Triglycerides, Antioxidant: DL-Alpha Tocopherol]), Siberian Ginseng Extract, Copper Sulphate, Co-Enzyme Q10, Folic Acid (as Pteroylmonoglutamic Acid), Sodium Selenate, Chromium Trichloride, Potassium Iodide, Biotin, Vitamin B12 (as Cyanocobalamin). Allergy Advice: For allergens, see ingredients in bold. Allergy Advice: For allergens, see ingredients in bold. Store below 25°C in a dry place, out of sight and reach of children. 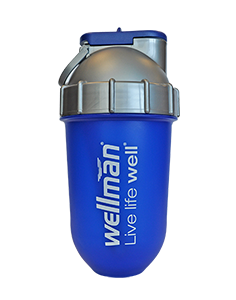 A comprehensive formulation of over 29 essential bio-elements, Wellman has been specially developed for men who want to maintain optimum nutrition levels while training, help support reproductive health, or help maintain general health and vitality in an otherwise hectic lifestyle, Wellman represents a simple solution. 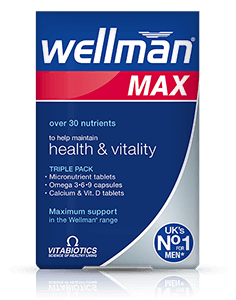 The advanced one-a-day tablets, unlike general multivitamins, have safe and effective nutrient levels formulated especially for men. 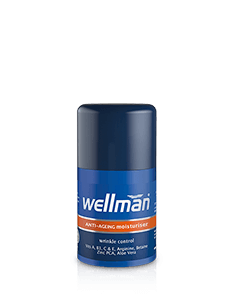 Wellman is recommended for men of all ages, as a daily nutritional safeguard. 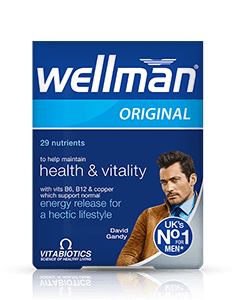 Wellman is ideal for men who lead a hectic lifestyle, sportsmen and gym users, including those men who may feel they need support with energy levels as Wellman contains B-complex vitamins along with copper, iron and zinc which contribute to normal energy release. 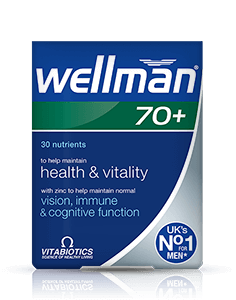 Wellman replaces your daily multivitamin and mineral supplement, and can be continued for as long as required. 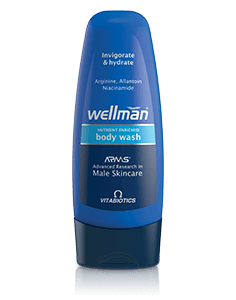 There is no maximum length of time over which Wellman may be used. 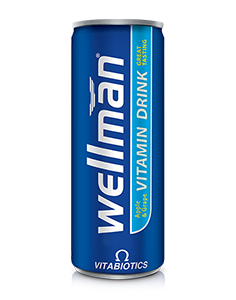 Generally, Wellman may be used alongside medications because it contains only moderate levels of vitamins and minerals, and it is free of any drugs or hormones. 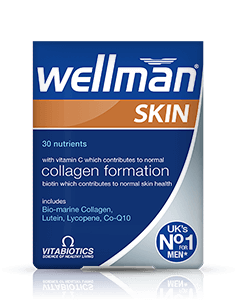 For specific advice on taking Wellman with medicines, we recommend that you contact your doctor or pharmacist first. Wellman is available in 30 tablets (1 month's supply). It is recommended to take one tablet per day. One tablet with or immediately after your main meal, swallow with water or a cold drink. Not to be chewed. Wellman should only be taken on a full stomach. 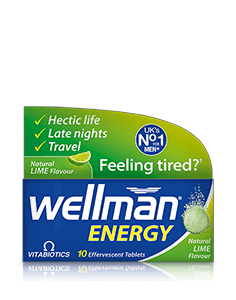 Always ensure that Wellman is taken with plenty of liquid to wash the tablet down, and not tea or coffee, as this may cause the tablet to disintegrate too early. 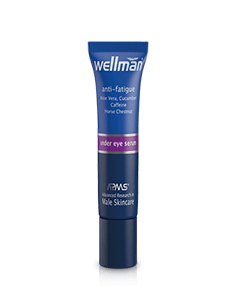 Wellman has no known side-effects when taken as directed. Do not exceed the recommended tablet intake. In case of overdose, seek medical advice immediately. 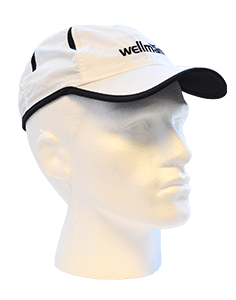 Wellman is a non-addictive formulation, and is free from drugs and hormones. 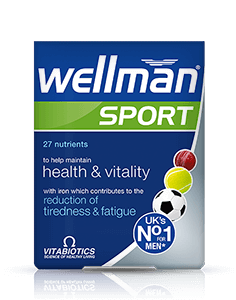 Wellman contains Siberian Ginseng, which is approved for sports professionals. 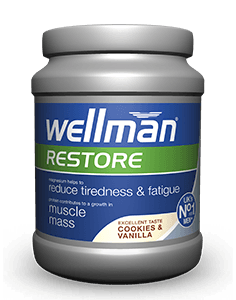 Results vary amongst individuals, but in most cases, we would expect the beneficial effects of the vitamins and minerals in Wellman to build over several weeks, with noticeable results in one to three months. 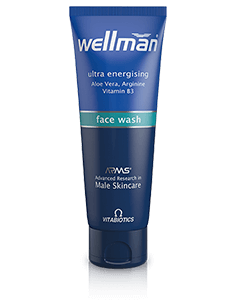 There is no maximum length of time over which Wellman may be used. A regular intake is recommended. 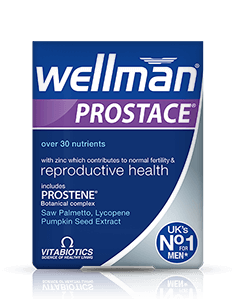 Wellman contains zinc and other minerals which are particulary important for men’s reproductive health and can contribute to the maintenance of normal testosterone levels in the blood. 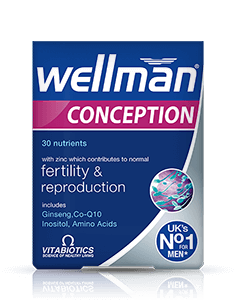 The formula also includes includes selenium which contributes to normal spermatogenesis. 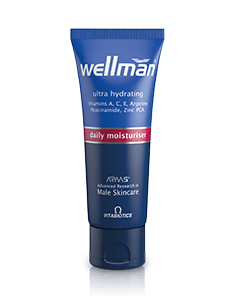 Since men lose an estimated 5 mg of zinc every time they ejaculate, a good intake of zinc is essential for reproductive health.